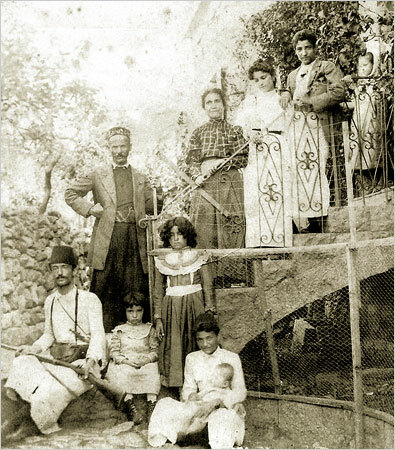 "....In “Origins,” Maalouf focuses mainly on his grandfather Botros, a schoolteacher who, having failed in business (he wanted to grow tobacco in the Bekaa plain), lives instead “between notebooks and inkwells”; and on his more successfully entrepreneurial great uncle Gebrayel (his grandfather’s younger brother), who left Lebanon in late 1895 for the United States and three years later for Cuba. They are a study in contrasts. Botros, a dandified intellectual determined to bring enlightenment to his corner of the mountains, scandalously refuses to have his children baptized, sets up a “Universal School” and roams his village bareheaded in a suit and cape, while Gebrayel establishes a successful retail business in Havana, only to die there under tragic circumstances...."